Your smile is the best first impression. It immediately creates the first visual impact on people you meet. A beautiful smile exudes youth, vitality, health, happiness, and warmth. As a cosmetic dental practice, Los Coches Dentistry offers gentle, efficient and affordable treatments to achieve a natural looking, beautiful smile. Artistic, digital equipment is combined with expert techniques, and a personable staff to provide customized cosmetic smile makeovers. Dr. William Neff, DDS and staff invite you to learn more about our cosmetic services and Carlsbad’s top family dental clinic. What is the purpose of a composite filling? A composite filling is a tooth-colored dental material to restore decayed teeth. Composite fillings are used commonly to change the color of the teeth or reshape disfigured teeth. Aesthetics and increased strength from bonding are the main advantages of composite fillings. Composite fillings are bonded to the tooth thus supporting the remaining tooth structure, preventing breakage and insulating the tooth from excessive temperature changes. If severe tooth conditions exists, a cosmetic dentist may recommend porcelain crowns or fixed dental bridges. Carlsbad dentist Dr. William Neff will provide appropriate recommendations after a comprehensive dental exam. Can porcelain veneers mimic real teeth? Porcelain veneers are thin pieces of porcelain used to recreate the natural look of teeth, while providing strength and resilience comparable to natural tooth enamel. The veneer is attached to the front of the affected tooth and unlike dental crowns, the procedure involves subtle preparation to the existing tooth to accommodate the porcelain veneer. Are porcelain veneers appropriate for my dental issue? Veneers may be recommended to cosmetically enhance tooth color, size or shape due to superficial stains, gaps between teeth, and fractured teeth. Porcelain veneers make even the darkest teeth appear whiter. Cosmetic dentist, Dr. William Neff, will individually sculpt porcelain veneers making it nearly indistinguishable from a natural tooth. The advantages to custom made porcelain veneers, unlike natural teeth, are that they are resistant to coffee stains, wine stains, and cigarette smoke because they are very hard, non-porous and comprised of high tech materials. There may be alternate solutions available. Communicating with your cosmetic dentist and clearly identifying what cosmetic improvements you desire is critical for a successful result. Dr. William Neff can help you achieve your smile makeover and through cosmetic imaging technology present a digital photo of your ideal beautiful smile! What are dental Lumineers? Achieve a picture-perfect smile with a simple, painless dental cosmetic procedure with dental Lumineers. Lumineers are ultra-thin porcelain veneers applied seamlessly over your teeth in about 2 office visits. The minimally invasive technique generally eliminates the occasion for shots or temporary teeth. It`s no wonder Lumineers are the #1 patient-requested veneer system in the world. How long can I expect Lumineers to last? Drink and eat what you want with confidence! Clinical testing has proven that highly durable Lumineers are resistant to wear and typically continue looking great in a span of around 20 years. While many cosmetic dentists offer veneers, not all have been trained and certified with the one-of-a-kind Lumineers. Los Coches Dentistry is a certified Lumineers dentist office conveniently located in Carlsbad. 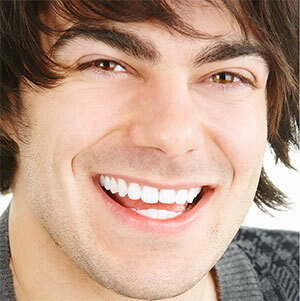 The most popular and affordable cosmetic dental procedure is teeth whitening. With millions of over-the-counter teeth whitening products and at-home teeth whitening online video tutorials, it’s easy to get confused.